Have you been continuously scanning for several weeks? 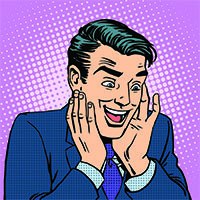 If you have, you are on the road to unlocking a super scanner bonus. All you have to do is to keep scanning and you will get an email notification telling you are ready to become a Super Scanner, so keep an eye on your inbox! You can earn 500 bonus points every 4 weeks by scanning every week and becoming a Super Scanner! See Your Points Grow Faster! You will be able to earn the bonus points for sending us your shopping every week. The faster your points grow, the sooner you can redeem our awesome gifts. 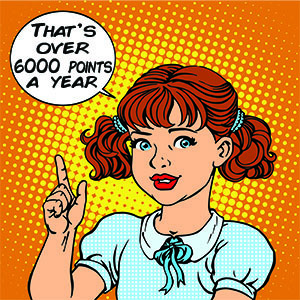 We will add 500 bonus points to your points tally automatically every 4 weeks*. You will earn these points in addition to your 1200 monthly points. *You have to scan every week for 4 weeks to earn the bonus 500 points; you will earn these points automatically on top of your weekly scanning points. Of course you are! If you have been a great scanner and sending us scans every week, keep doing what you are doing and see the 500 bonus points added to your tally every month automatically. But if you need that extra push to scan every week, we hope the promise of 500 bonus points keeps you going. So what are you waiting for? Send us those scans, get rewarded, and watch your points grow! Please note we will not be able to award the bonus points for the weeks that you on holiday. We need to receive a scan from you every week in order for you to be eligible for Super Scanner 500 point bonus reward. However, you will still get your allocated weekly points over the holiday period. Are you a Super Scanner? All you need to do to earn the extra points is to transmit your scanning every week, and you'll get your bonus 500 points added automatically every month. If you scan every week, you become a Super Scanner! I used to scan one bottle of soda water and then type in 10 if that was how many I purchased, now I have to scan all 10 separately. Much more time consuming. i live by myself, so probably don’t earn near as many points as a family would so the bonus are very welcome. I forgot to ask, when do we get an update on the rewards catalogue? Hi Laraine, We do truly feel your pain , Our clients are in need of this at the moment for example to get every flavour of Tuna, Milk or baby food you buy, so that your supermarket shelf is stocked with the correct flavouring that people in you area are requiring . It will revert back from time to time , we are getting closer to having this changed back to adding the Quantity, Thank you for your patience . Hi Maaike The best way to see the most updated Reward Catalogue is on the Shopper Panel website. If we add any new Amazing Gifts on the site they may not be in the Catalogue so we don't want you to miss out . please check out our web site from time to time for amazing New Rewards !